Watson Jeopardy - Finally, Strong AI! In February 2011, TV viewers around the world watched the computer programs DeepQA and UIMA, irrevocably prove the "Weak AI” camp wrong by demonstrating the viability of “Strong AI.” Computers could ultimately do better than the human mind in any field! The software granted IBM's Watson supercomputer the key enabling quality of the mind – the ability to arrive swiftly at decisions, based on a multifaceted perception of the world. By retaining numerous parallel views of possible solutions in its processing memory, the machine exhibited actual “awareness” of other answers. Displaying the power of this approach to the world community, the machine defeated two human champions in a popular US game show called Jeopardy! The new skill enabled the machine to beat humans with its swift and sensible answers to ambiguously worded questions about a wide range of subjects. The answers were delivered within seconds after the machine had pored systematically through a million books. With its holistic access to vast knowledge, Watson demolished the “Weak AI” view, most persuasively voiced by the philosopher John Searle, that computers would always be inferior to humans, because they could never truly understand the world. In the popular quiz show Jeopardy!, a reversed question and answer format tests the ability of contestants to spot trivial facts in a huge range of fields. To win the game, IBM used DeepQA & UIMA to recognize data in millions of pages of raw text data. UIMA stored all the data as XML codes and DeepQA algorithms extracted answers in real time. Algorithms identified the types of data, parsed words, used semantic detection, language analysis and stored the the results as cross linked XML codes. By tackling raw text, Watson became a General Problem Solver. By storing and evaluating all the data Wason follows a holistic process, similar to the mind. The process produced and verified the relevance of multiple questions and answers to the Jeopardy! questions. By eliminating the irrelevant, Watson bypassed the combinatorial explosion in standard search processes. With 2880 core processors, Watson presents immense computing power. Searle argued that a computer could never understand. Understanding is an "awareness" of thousands of connected issues. Watson "understands" a problem better than humans. DeepQA/UIMA can be applied in so many areas of human knowledge. The process can understand the deep implications of emotions by sifting through millions of novels. By tackling a more advanced semantic expressions stage of pattern recognition, Watson bypasses a need for sensory inputs. Malicious use of the Watson technology poses new dangers. Jeopardy! is a popular American quiz show, in which a reversed question and answer format tests the ability of contestants to instantly spot trivial facts in history, literature, the arts, pop culture, science, sports, geography and wordplay. Clues are presented as answers and the responses of contestants have to be in a question form. Usually there are six selected subjects, with five questions asked in each subject. Each question is an answer, or clue. The player's correct answer has to be a question. If the category is "geometry," a question may be, "An angle that measures 90 degrees." The right answer could be, "What is a right angle?" The contestants have to ring in to indicate their ability to respond within five seconds after a buzzer confirms that the host has completely finished reading the clue. Ringing in before, loses points. In this historic man vs. machine game, Watson, powered by DeepQA & UIMA, took early lead. From the very beginning, the supercomputer rang in first and produced the correct answers. Its human opponents tried valiantly to catch up, but, in the end, it was a clear win for Watson. DeepQA & UIMA were different, because they were not mechanically “computing” structured inputs. The programs were drawing their replies from a wealth of accumulated human knowledge. They were recognizing patterns in millions of pages of raw text, retrieved from an assembly of documents from around the world. In the case of Watson, that text included the Wikipedia (14 billion characters), an encyclopedia, a dictionary, a thesaurus, the Bible, a movie database, a geographic database and much more. The machine could ingest this vast library and reply correctly to a query in less than 3 seconds. DeepQA & UIMA had changed the man vs. machine world. Civilization could now draw sensible answers, culled from the accumulated wisdom of history assembled on the internet. Web crawlers could continually feed the maws of such powerful machines. They opened a new door into the secrets hidden in diverse fields, including science, politics, government, medicine, defense and internal security. The programs were imitating the human brain. The nervous system communicates all data as neural combinatorial codes and an intuitive process extracts contextual answers in real time. One region of the brain identifies an object by touching it; another, by defining its visual edges; a third by smelling it. A fourth region assembles such evaluations to instantly identify a person. UIMA stores all data as XML codes and DeepQA extracts answers in real time. Numerous special purpose algorithms in UIMA evaluated sentences and paragraphs to identify the concepts buried within them in numerous ways. Statistical as well as rule-based analysis of languages classified and summarized documents. Algorithms allocated legal, biological, or medical data to the related domains, or industry verticals. Algorithms parsed words, used semantic detection and translated documents from other languages. The languages used in the documents, the specific method of their construction and the boundaries of its sentences were identified. They located references to persons, organizations, events, times, concepts and opinions. Numerous views of the same documents were stored as cross linked XML type codes in the memory of the computer. Older computer programs required specialized languages and structures to produce answers in each domain. A maths program could not solve a biology problem. But, UIMA could boast of a world wide view. It could add new algorithms to identify and integrate newer and newer fields. Codes could seamlessly link connected fields, such as persons, organizations, events, times, concepts and opinions, in medicine, biology or law. The codes also defined the precise locations of various categories of data and the software processes needed to feed in the data, to process it and to access the results. DeepQA & UIMA carried out their main processes, including repeated searches and optimizations on the XML codes and not on the raw text. By identifying the domain of a problem and converting all data to a common set of codes, the software became a General Problem Solver, as dreamed of by the early AI researchers, Allen Newell and Herbert Simon, way back in 1957. The neurobiologist Walter Freeman had highlighted an enigma of the mind. “The cognitive guys think it's just impossible to keep throwing everything you've got into the computation every time. But, that is exactly what the brain does. Consciousness is about bringing your entire history to bear on your next step, your next breath, your next moment.” DeepQA & UIMA proved that even a computer could achieve this seeming miracle. Everywhere, they used the total available knowledge for their evaluation. They listed all the possible interpretations of an incoming question. The questions were parsed to get their logical meanings. All the possible meanings of each word, as well as key words and phrases, in the question were listed. They then generated all the possible questions, which could be implied in this question. DeepQA then searched all the facts in the million books available to it to assemble hundreds of answers, which could reasonably answer the questions. It then rechecked the million books again for evidence supporting these results, generating more links to suitable answers. It added these new links into its memory, learning during the answering process. All answers were then statistically scored for their suitability. Based on the highest score, the machine delivered the answer. DeepQA & UIMA had evaluated every piece of knowledge available to them to reach an answer. The programs had achieved the crucial holistic quality of the mind. 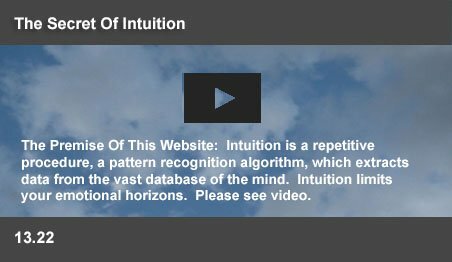 The mind invariably accessed instant answers, despite its need to search a vast database. Ordinary search processes in computers became hopelessly mired in a combinatorial explosion, when trying to isolate patterns, which could fit many parameters. Typically, an answer, which suited two conditions would not meet a third one. To solve this problem, DeepQA used a statistical evaluation of the thousands of parallel answers stored in its memory. Watson did many iterations of questions and answers and attributed such scores to possible answers. It finally eliminated all answers which scored less than the highest. The game changing mutation was the statistical evaluation of confidence scores. That process became a powerful new programming competence, which had become the basis of the future applications of this software. It was this evaluation routine, which imitated the intuitive processes of the mind, which also inhibits irrelevant activity in entire regions to focus on the current concern. Named after IBM founder Thomas J. Watson, the Watson supercomputer is one of the most advanced systems on Earth. It has 2880 core processors and is powered by 10 racks of IBM Power 750 servers and a network-attached storage (NAS) cluster with 21.6TB of data. It can carry out 80 trillion operations per second. Watson used only about 1TB of data to process real-time answers to Jeopardy questions. It can integrate data in 15 terabytes of memory into a single process using Hadoop, a hardware integrating software. Researchers had scanned some 200 million pages of content (about one million books) into the system. The hardware occupied a space equivalent to about 10 refrigerators. Considering the scales at which memories and processing power are increasing, Watson could be sitting in a laptop, or in the head of a lissome robot, in the not too distant future. According to Alan Turing, it was not the internal state of either the mind, or the machine, but their outward behavior, which defined intelligence. He offered a famous thought experiment to prove his point. A human judge could exchange messages with one human and one machine, each pretending to be human. If the judge could not tell the difference, then, the machine was intelligent, regardless of its internal processes. But the philosopher John Searle countered that intelligence demanded both outward behavior as well as internal understanding. A computer, merely programmed to output seemingly intelligent messages, did not understand those messages. Searle offered a second thought experiment, where an English speaking person in a closed room, accepted Chinese messages through a window and followed specific instructions to return the correct Chinese answers. Since the person merely followed the instructions, he understood neither the questions nor the answers. So also, computers, which merely processed inputs without understanding their significance, were not truly intelligent. But, Watson, with its processing access to thousands of relationships of each question and answer, could make a better than human assessment of the implications of what was being communicated. Internal workings were not really important. Watson could understand and process data. DeepQA with UIMA can peruse millions of medical documents the same way in which it dealt with trivial facts. New algorithms are being developed to categorize medical terms and processes. But the DeepQA/UIMA language of questions and answers will remain the same. Cases from around the world will be evaluated to discover unusual complications in diseases. The program will uncover incompatibility between drugs in the rarest of rare cases, if it comes to light anywhere in the world. Computers will warn of incipient epidemics. They will be able to digest the entire medical history of a patient and search for the best treatments from world wide records. They will point out dangers in particular modes of treatment. By choosing the most important answers, DeepQA will not overwhelm doctors and patients with an excess of data. DeepQA/UIMA will one day be able to peruse millions of magazine articles and novels to categorize the nuances of emotions. Emotions are merely patterns of behavior, which enable people to interact in society. They control complex behavior in even exceptional circumstances. A caring action has clear behavioral patterns, whether in the jungle, or in a space ship. 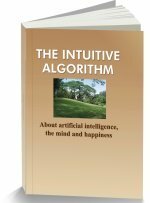 Suitable algorithms will identify the gamut of physical and behavioral responses, which accompany anger, sadness, humor or joy. They will be able to predict criminal behavior, crowd behavior, or public responses to policies of government and internal security agencies. The applications of emotions will become a major frontier for DeepQA/UIMA. Since Watson had access only to the recorded experiences of people, it could be imagined that it would have difficulty in dealing with some subjects. But, Helen Keller, the celebrated author, who was both deaf and blind had no access to either visual or sound information. Yet, she became a celebrated author through the medium of text, which her tutor taught her by “spelling” letters out on her hand. Text based information contains the encapsulated culture and knowledge of the human race. It has incredible detail in definition and content. Global Language Monitor, a company which documents, analyzes and tracks trends in English, reports that, currently one million words are being used in English. Access to an overwhelming variety of meanings and the ability to relate them in thousands of ways can grant DeepQA/UIMA a pattern recognition competence, which can far exceed human skills. As in every field of technology, this game changing competence brings with it very powerful threats. There are reports that the UIMA resources will become freely available on the internet. Terrorists can query those computers about lethal and commonly available weapons, or about maliciously manipulating people. Policing systems may be able to keep a better track of criminal trends around the world, but new discoveries have an unfortunate way of surprising even the best prepared organizations.